We ask that you pre-register for the dinner at your earliest convenience online at www.torontoashrae.com, select “Meeting Registration and Calendar” from the left tab and then “Register” button for the ASHRAE Toronto - Decemberfest 2011 Dinner Meeting. You may also still register through the ASHRAE chapter office (Sabrina Tai - 905 602 4714 or stai@hrai.ca). Please indicate at time of registration if you have any specific meal requirements. There will always be a vegetarian option, simply notify us at time of registration. No walk-in registrations will be permitted for this event. Join us as we end our series of ASHRAE Toronto 2011 Dinner Meetings in style while enjoying a fine dining experience in one of Toronto's most historic neighbourhoods. Come celebrate as the ASHRAE Toronto Chapter hosts its first EVER event at this elegant, historical Distillery District. As the nature of this meeting is non-technical, it is an ideal venue for our members and affiliated guests to bring along their spouses, significant others, family and friends. This will remain an unforgettable experience and we'd love for you to join us in closing off 2011. As the Toronto Star says: "To enter The Distillery is to step back into an era of horse-drawn carts, windmills and sailing ships". One can only marvel at the authentic exterior restoration that was achieved. But it is when you step inside the buildings that you truly realize the magnitude of what was accomplished. The Distillery District is a national Historic Site with an incredibly rich history. 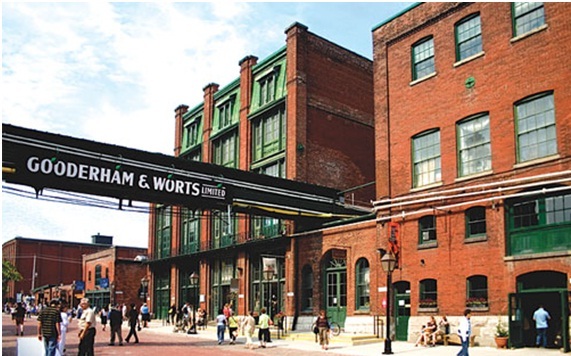 The site was once The Gooderham and Worts Distillery, and represents the largest and best preserved collection of Victorian Industrial Architecture in North America. In its time, The Gooderham and Worts Distillery played an important role in the growth and wealth of both the city and nation. In addition to various involvements in real estate and banking, the company at one time contributed more to Federal coffers than any other enterprise in the country. 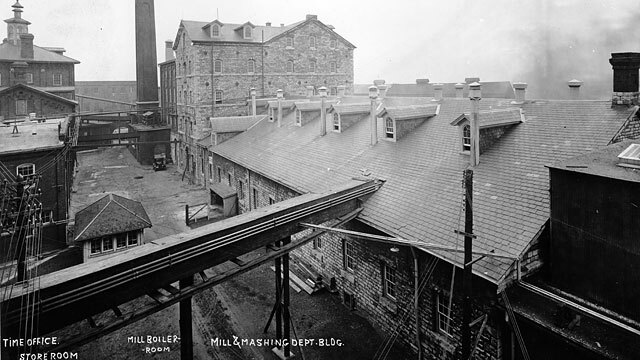 To see a history timeline of The Distillery District, or to learn more about the neighbourhood, please click here. The Cannery Room is limited to a maximum of 60 people for the evening. Registration for this event will close on December 1st, 2011. The member rate (all grades) is $80 and guest rate is $95. Rates are in CAD and include HST. Dinner will include an exquisite 3 course meal and one (alcoholic) beverage. A menu will be released shortly. Thank you for supporting ASHRAE Toronto. We look forward to seeing you at Decemberfest 2011.